sportscitrusbowl: Sports: News-Editorial: Award-Winning Evansville Photographer: Molly Bartels specializing in editorial, wedding and art photography in Evansville, Indiana. 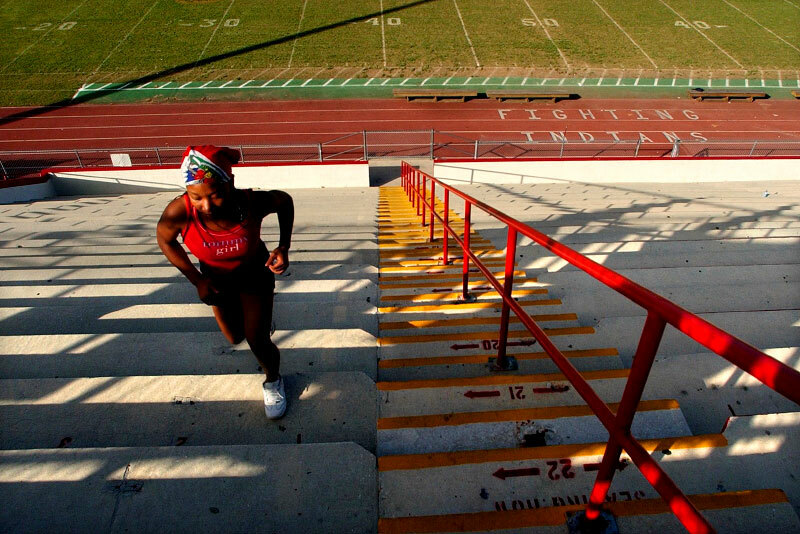 Tamara Lavache, 16, runs bleachers at the Citrus Bowl with a conditioning group from Vero Beach High School. The group includes students from all sports, but Lavache runs track for Vero Beach High School which starts in February.